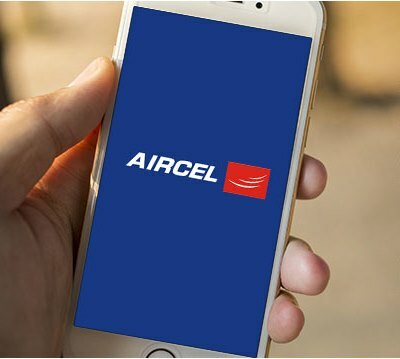 Aircel, one of India’s most innovative telecom brands, with its aim of driving mobile internet consumption in the country continues to innovate in its data product portfolio offering a wide gamut of exciting products like ‘[email protected]’, ‘1GB for All’, ‘[email protected]’, 5G for Rs.298, 11GB for Rs.598 and ‘Limit Se Zyada’ recharge packs, that have clearly defined data experience for the vast spectrum of consumers during the year. Aircel encouraged its consumers to stay online with its ‘Be Online with Aircel’ initiative and backed it up with a host of industry-first data products that made mobile internet available to all, thereby, fueling mobile internet adoption. The success of these products helped Aircel register a 74% in 3G data revenue and 76% 3G consumption growth in a little less than a year. Aircel’s innovative data products were aimed at creating a digital India with increased data penetration and affordability. While products like ‘3G for Rs.9’ significantly helped in bringing down the digital divide between the urban and the rural, revolutionary data proposition of ‘1GB for All’ ensured that all customers according to their usage pattern can enjoy a meaningful internet experience of at least 1 GB. Under the umbrella of ‘1GB for All’, high data usage customer gets 1GB 3G for Rs. 47 with validity for one night, however, a medium data user gets 1GB 3G data for Rs. 99 and low data user gets for Rs. 147. This unique offering ensures maximum customer delight and encourages customers to use mobile data more often. Aircel then spiced up the festive season with ‘1GB of 3G @ Rs.24’ to allow subscribers stay online more than ever before. To avail ‘1GB 3G [email protected]’, all existing and new customers first need to recharge with Rs.329 that would give them 2GB of 3G data with a validity of 28 days. These customers, henceforth, can enjoy 1GB of 3G data with every subsequent recharges of Rs.24. The offer is available across 3G circles from Rs. 24 to Rs. 41, while the main recharge is available in the range of Rs.291 to Rs.329. To the delight of high-end voice and data users, Aircel launched LIMIT SE ZYADA (LSZ) recharges that offer consumers heavily loaded COMBO plans which will offer unmatched value proposition. ‘Limit Se Zyada’ Maha Recharge is aimed at catering to customers having need of both voice and data by offering Talk Time of Rs. 700 and 7GB of 3G Data at just Rs. 777, effectively offering 1GB 3G data at just Rs.11 and voice calling at unmatched rates.